Read George Meredith best poems. 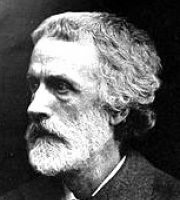 George Meredith was a famous english poet of the victorian era. His poems was characterised by a fascination with imagery and indirect references. During most of his career, he had difficulty achieving popular success. His first truly successful novel was Diana of the Crossways published in 1885.